State legislators understand that government touches their citizens’ lives in many different ways – it’s why they chose to run for office. And at every point of intersection between government and people, new information is created. Given the scale of state governments, all this information adds up to massive amounts of data: big data. 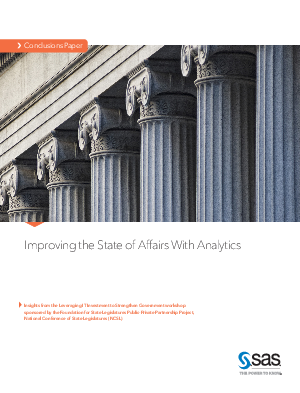 Without a fast, reliable way to capture and understand all that data – while separating the relevant from the insignificant, and the public from the confidential – governments can no longer operate effectively. And without the appropriate infrastructure, they can’t do it securely.